We at Digital Rights Watch recognise the right of our lesbian, gay, bisexual, transgender and intersex (LGBTI) employees, volunteers, supporters and partners to live and work free of prejudice and discrimination. This includes the right to marry the person of their choice. We particularly acknowledge the role that strong digital rights can play in supporting and empowering the LGBTI community. 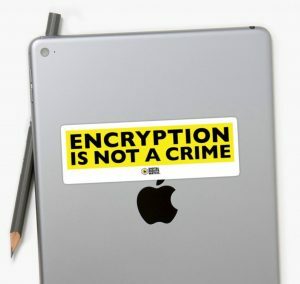 Around the world, governments currently censor LGBTI search results and monitor individuals’ activity online, prompting civil society organizations to build their own platforms for the LGBTI community to use so that fear of surveillance does not keep people from communicating and connecting within the community. This reality is far from the desired state of a free and open internet that is inclusive of all views. Many in the LGBTI community grapple with the right to privacy. Whether you’re exploring your sexual identity online, seeking support from peers when there are none available in your community, or keeping your sexual orientation secret from your family, co-workers, or classmates out of fear of bullying or reprisals, protecting your privacy online may be an important part of protecting your physical safety. People should be free to talk about all issues online without fear of government intervention, regardless of their sexual identity or orientation. LGBTI communities often use internet connections to reach people like them and share strategies on how to move through a world that still can’t decide if they have the right to marry the people they love. The threats levelled at the LGBTI community in online spaces are often very real, and deadly. In Sudan, names and numbers of those who identify as part of the LGBTI community have been published online and cases in which public information, such as a video of a gay wedding in one case, have led to arrests and detention. Individuals in Pakistan have infiltrated the LGBTI community to then identify and murder members of the community, resulting in a shrinking of safe space both online and offline and increasing fear and distrust within the community. Instituting marriage equality within a developed nation like Australia may seem a largely symbolic gesture when compared to some of these deadly threats in other countries, but it is the strong message of acceptance, tolerance and support for the love of two people that is so important. It is a matter of equality, and particularly as we fight to ensure that access, use and identity on the internet is equal, we must ensure that is true for those in the LGBTI community as well. The digital world can be a powerful tool that can help us work towards this greater acceptance and equality. In India, digital space has been documented as provided members of the LGBTI community immeasurable freedoms, particularly under conditions of criminalisation, to find partners, social networks and for activism. In 2009, a Delhi High Court judgement decriminalised homosexual relations between consenting adults, which saw the explosion of newly launched gay pride magazines online, mobile dating apps and social media spaces where members of the community could interact. The internet became a welcoming and supportive place for these communities to live out their lives, and be more visible than was previously accepted. 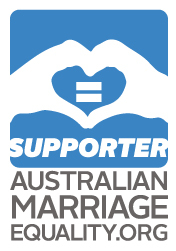 Everyone should be treated equally under Australian law, including our marriage laws. It’s time to update our marriage laws to reflect the values we’re most proud of, so that all Australians have the same opportunities for love and happiness. The time for Australia to act is now. We therefore support marriage equality.